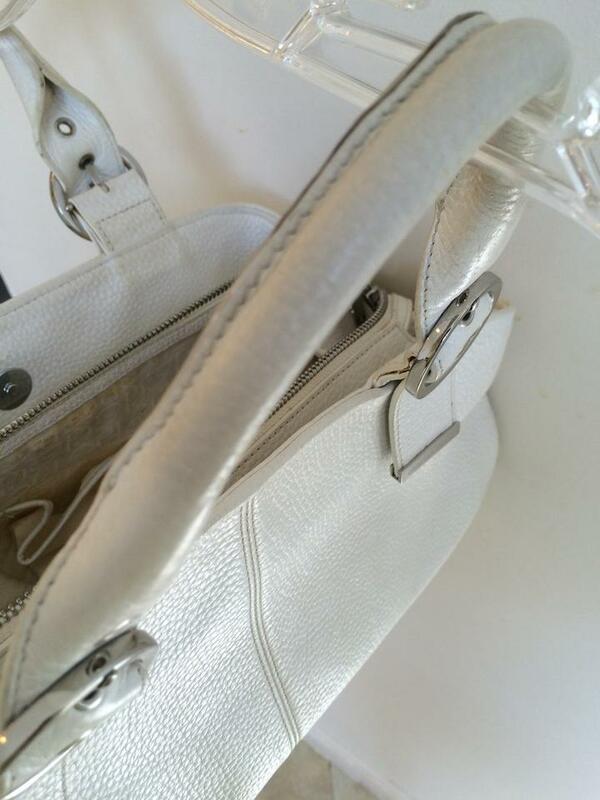 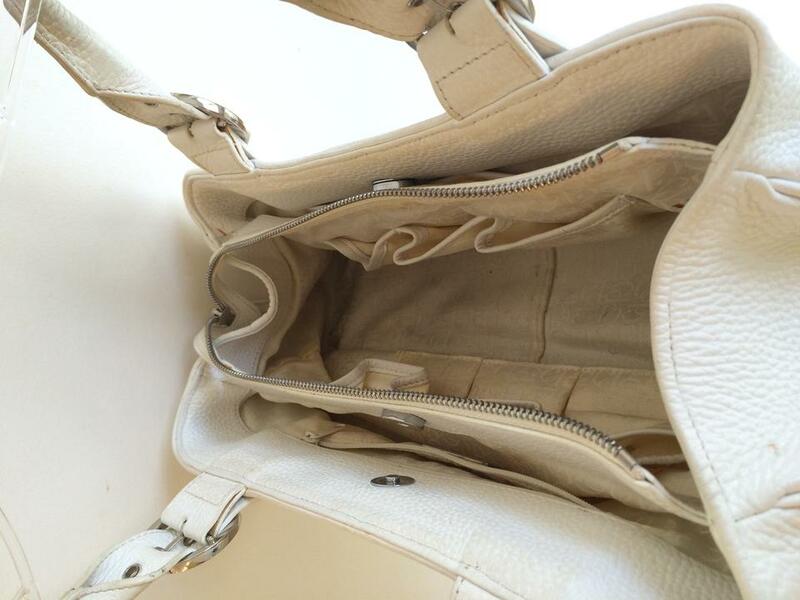 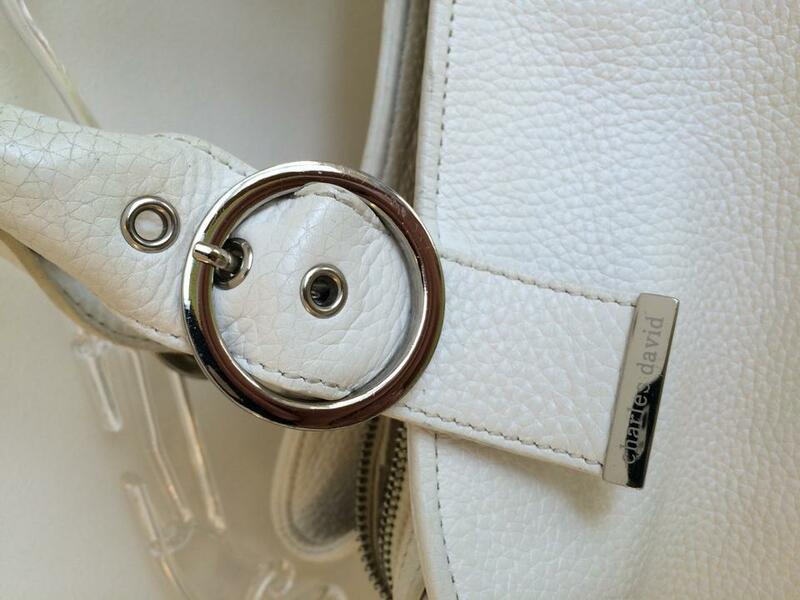 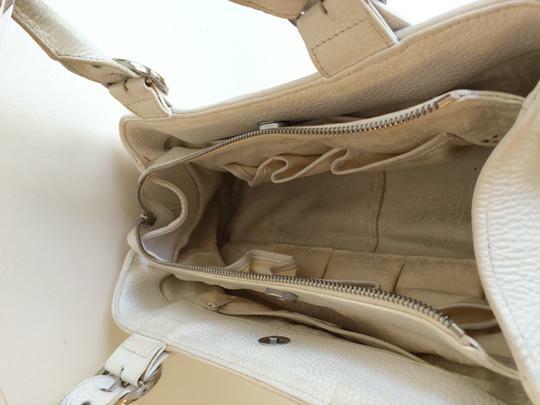 Some scuffs on bottom of bag and minor marks on interior lining. 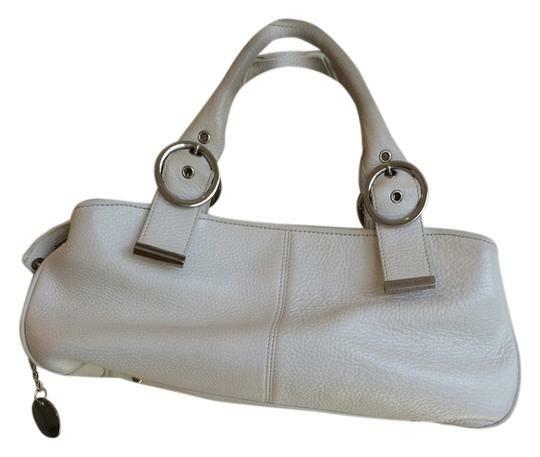 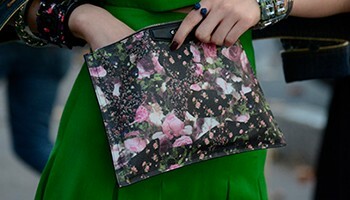 Great medium sized leather bag. 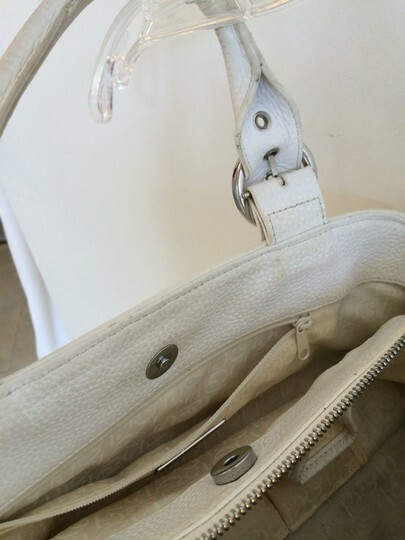 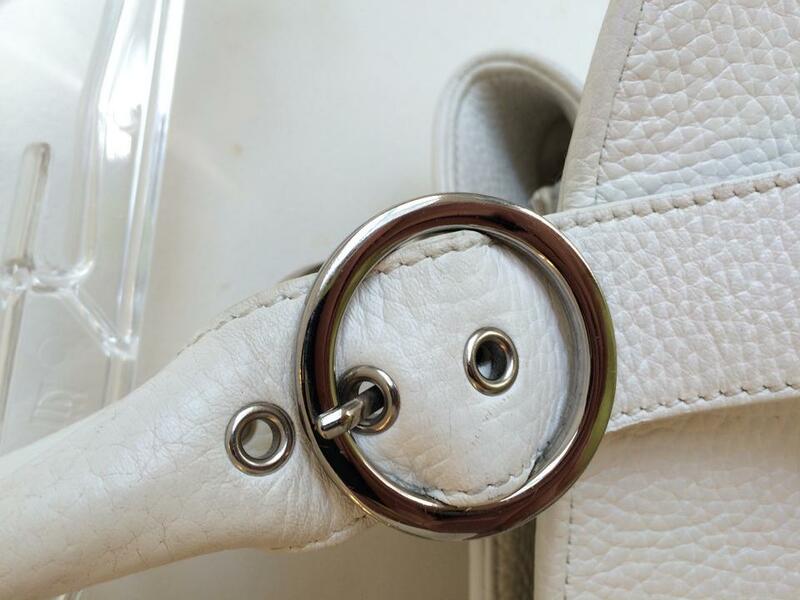 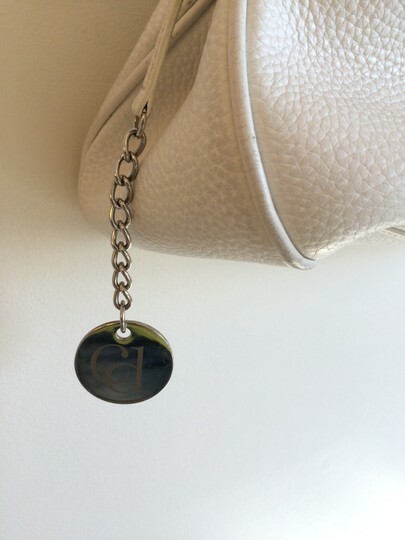 Pebbled white leather.